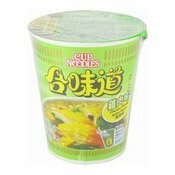 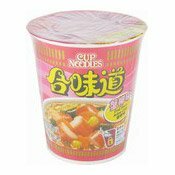 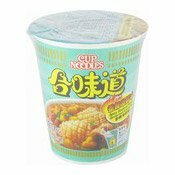 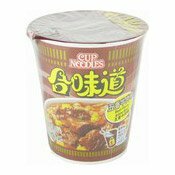 Ingredients: Noodles: Wheat Flour (Gluten) (55%), Palm Oil (Contains E306), Salt, Acidity Regulators (E501, E500), Humectant (E452). 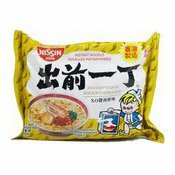 Soup Powder: Salt, Beef Extract (2.3%), Szechuan Pepper, Yeast Extract, Sugar, Red Chilli, White Pepper, Flavour Enhancers (E621, E635), Dehydrated Cabbage, Roasted Sesame Seed, Texturised Soy Protein, Dehydrated Carrot, Dehydrated Garlic Sprout, Caraway, Colour (E150b). 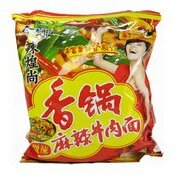 Sauce Sachet: Palm Oil (Contains E306), Ginger, Scallion, Salt, Szechuan Pepper, Chilli Sauce (Chilli, Salt), Red Chilli, White Pepper, Colour (E160c). 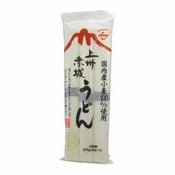 Flavouring Sachet: Seaweed, Rapeseed Oil, Salt, Red Chilli, Ginger, Flavour Enhancer (E621).